The first shot in the race for Secretary of State’s Office has been fired. Not surprisingly, it was by the challenger, Democrat Maggie Toulouse Oliver, the Bernallilo County clerk who is trying to unseat incumbent Republican Dianna Duran. But the target was not Duran herself, but one of her employees, Rod Adair, a former state senator who is an administrator in Duran’s Elections Bureau. The 10th Circuit Court of Appeals ruled that the contribution limits the New Mexico Legislature adopted on “independent expenditures” were unconstitutional based on the Supreme Court’s ruling in Citizens United. “And who was leading the charge to get this law overturned? 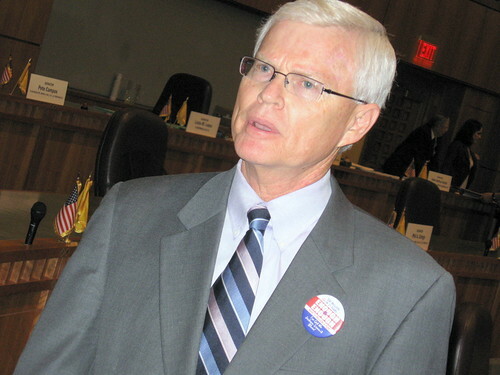 Why, it was the Republican Party of New Mexico and none other than former State Senator Rod Adair, who happens to be in charge of elections and campaign finance enforcement in the Secretary of State’s Office. Unbelievable!"